During her sixty-three-year reign, Queen Victoria gathered around herself a household dedicated to her service. For some, royal employment was the defining experience of their lives; for others it came as an unwelcome duty or as a prelude to greater things. Serving Victoria follows the lives of six members of her household, from the governess to the royal children, from her maid of honor to her chaplain and her personal physician. Drawing on their letters and diaries—many hitherto unpublished—Serving Victoria offers a unique insight into the Victorian court, with all its frustrations and absurdities, as well as the Queen herself, sitting squarely at its center. Seen through the eyes of her household as she traveled among Windsor, Osborne, and Balmoral, and to the French and Belgian courts, Victoria emerges as more vulnerable, more emotional, more selfish, more comical, than the austere figure depicted in her famous portraits. We see a woman who was prone to fits of giggles, who wept easily and often, who gobbled her food and shrank from confrontation but insisted on controlling the lives of those around her. We witness her extraordinary and debilitating grief at the death of her husband, Albert, and her sympathy toward the tragedies that afflicted her household. Witty, astute, and moving, Serving Victoria is a perfect foil to the pomp and circumstance—and prudery and conservatism—associated with Victoria's reign, and gives an unforgettable glimpse of what it meant to serve the Queen. After leaving Oxford University, Kate Hubbard worked variously as a researcher, a teacher, a book reviewer and a publisher's reader and a freelance editor. She currently works for the Royal Literary Fund. She is the author of the acclaimed historical biography Serving Victoria and lives in London and Dorset. Copyright 2013 Library Journal, LLC Used with permission. 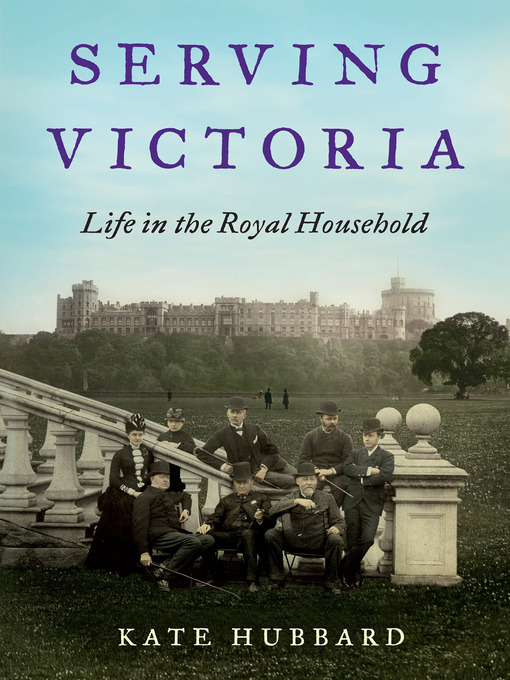 "A testament to Hubbard's talent....Readers interested in the Victorian era and the British royal family will enjoy this well-written and remarkably inte4resting account of the 'woeful dullness' and 'loneliness' of life inside Victoria's court." "Kate Hubbard's entertaining book, drawing on the vast pile of correspondence from ladies in waiting, maids of honour and others, paints a picture of court life that is compellingly vivid." "Well-written....Fascinating....Both eye opening and thoroughly engaging." "Compelling....The rhythm of court life at Windsor or Balmoral is the backdrop to a rich human drama, a story of people existing in uneasy intimacy with the royal family." "[Hubbard has] plundered a rich vein of fascinating and often new information." "A touching portrait of Victoria offstage and unguarded." "The appeal in Hubbard's story is the excitement in an otherwise dull existence. Call it the sensuality of the stiffness....The emotional complexity is as entertaining as (and more astute than) most upstairs-downstairs soaps, even those written by Julian Fellowes." "A vivid, entertaining and often comical portrait....Ms. Hubbard has achieved a real feat in writing so compellingly about life in the 'airless bell jar,' as she describes the court." "Entertaining....Hubbard draws on a wealth of correspondence and diaries to weave an amusing 'Upstairs, Upstairs' drama."